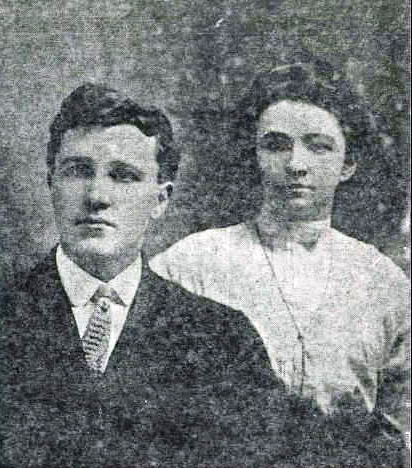 John Henry married Bertie Lee Mashburn on October 22, 1910. Along with his brother Henry, John Henry and Bertie Lee founded the Yeager Bros. Bakery at 1977 E. Stark St. in the Montavilla district east of Portland. 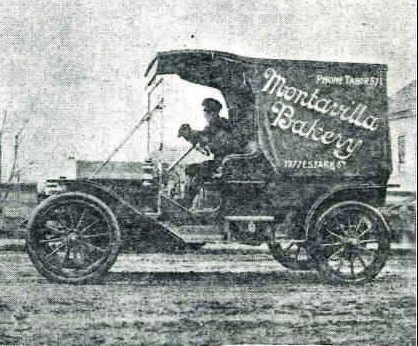 The business was later renamed the Montavilla Bakery (around 1915). The brothers worked production and Bertie Lee, served customers from behind the counter. 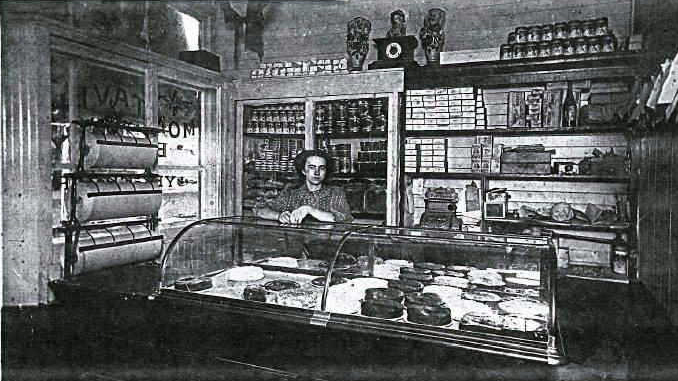 Bertie Lee Yeager (née Mashburn) behind the counter at Yeager Bakery in Montavilla. John Henry and Bertie Lee Yeager. The Yeager Bakery was a family affair with several cousins pitching in to help. The 1914 Portland City Directory lists four Yeager men living at the same address, all are noted as bakers: Conrad, Conrad C., Henry and John H. Conrad and Conrad C. are likely first cousins of John H. and Henry. 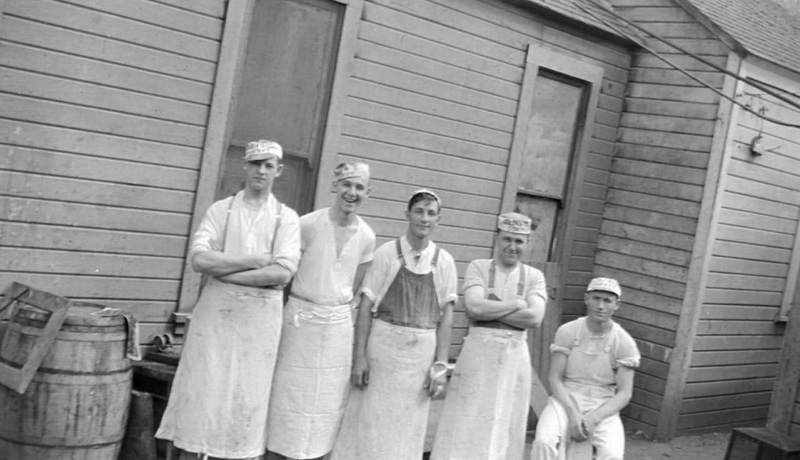 A photograph taken by Gottfried Schreiber showing five men working at a bakery. 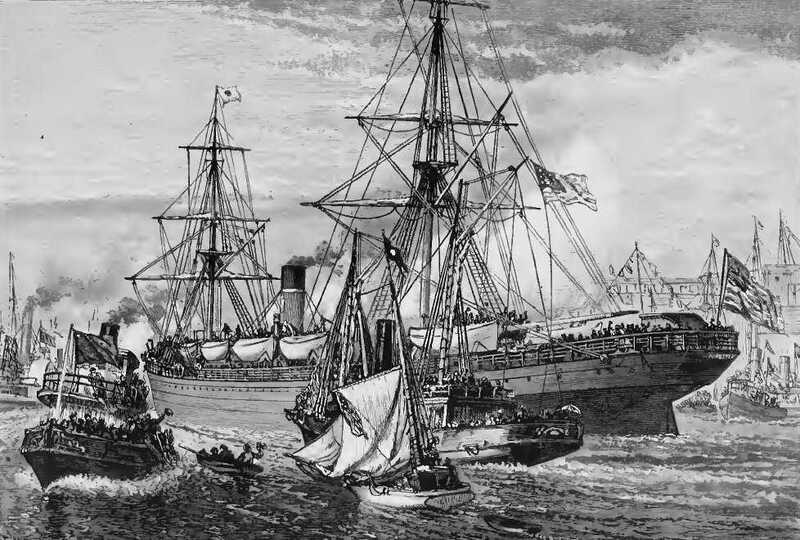 The person in the center is Conrad Yeager. To his right is John Henry who owned the Yeager Brothers and Montavilla bakeries in Portland, Oregon. The 1914 City Directory lists 4 Yeager's living at the same address who are bakers: Conrad, Conrad C., Henry and John H. It is likely that they brothers and first cousins. The Yeager brothers were active in the Master Bakers of Oregon and helped organize their first annual picnic. The Montavilla Bakery also sponsored a men's ball team. Henry is listed as head of the Sports Committee. John Henry's sister, Elizabeth, married Peter Walters and they founded a Portland bakery known as Rotary Bread. John Henry's younger brother, Joseph, married Beryl Plowman and they founded the Yeager Bakery in Beaverton in 1925. It was later named Beaverton Bakery. "Bakers Enjoy Picnic." The Morning Oregonian, 7 Sep. 1915, page 4. Article noting the 58th Wedding Anniversary of Mr. and Mrs. John Yeager. Stevenson, Washington Newspaper, 1968.